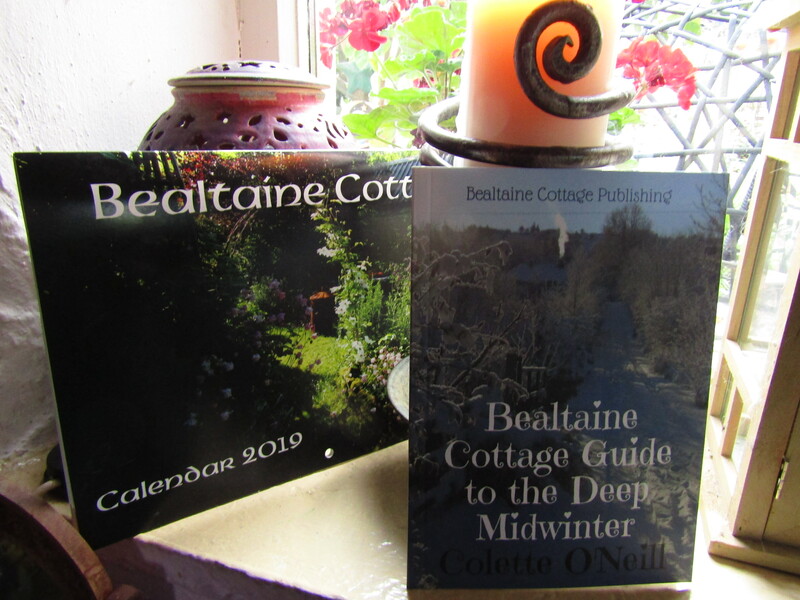 Here are some of the combinations that have worked really well for me this summer here at Bealtaine Cottage. Pumpkins, Kale and Nasturtium…the bees love the flowers on the Nasturtium, bringing them in towards the Pumpkin flowers. Another strange but beautiful combination…Celery and Rudbeckia. Rudbeckia is late flowering and especially useful in a potager bed, making lots of babies that can be potted on and sold at the market next Spring. Parsley and Sedum…Sedum is the last meal of the year for the bees and will ensure adequate nutrition for their long hibernation. This is the Sedum, Autumn Spectabalis, which makes lots of babies for potting up! Tomatoes, Feverfew, Borage and flat leaf Parsley…all very happy and thriving together in this potager bed. This is the way I grow all my fruit and vegetables…to the point where no soil is exposed. It works great every year! Young Kale with Sedum and Nasturtium. The plants are continually surrounded with shredding. 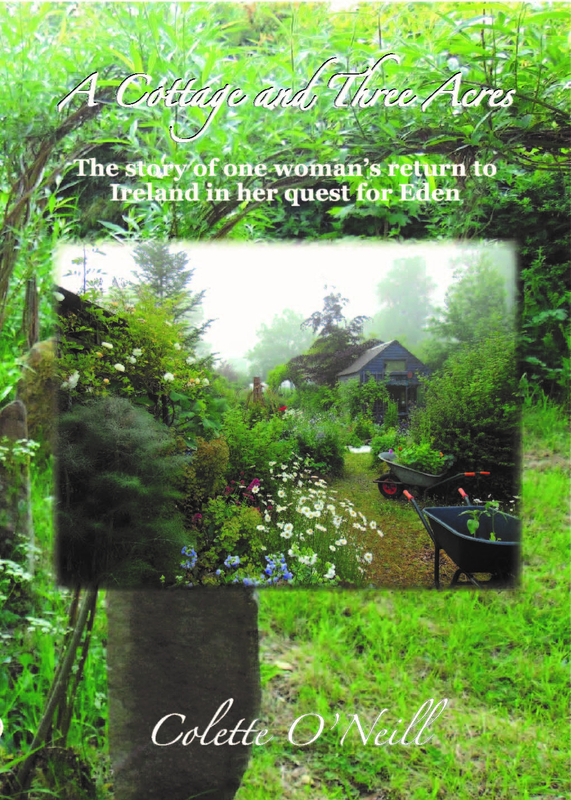 I make shredding from what I cut at Bealtaine Cottage and put it back onto the earth to build up soil. I use an electric garden shredder. Sweetcorn and Kale in one of the potager beds outdoors. Lemon Balm and Rocket…both go great together in a salad as well! Potager beds are the focus of companion planting in extremis! The next harvest in the fruit gardens is the from the Apple trees. Plenty this year! Meanwhile, the work continues in the potager beds. 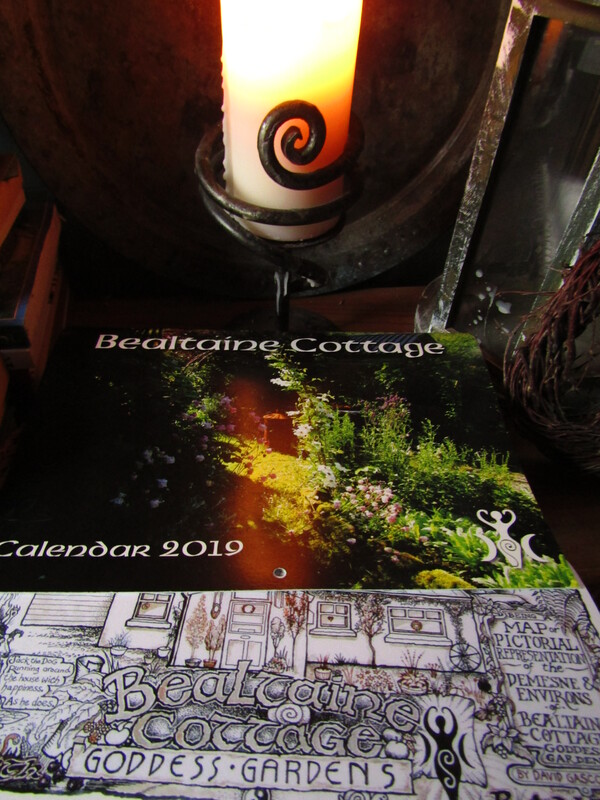 One of the many workers supporting Bealtaine Cottage. 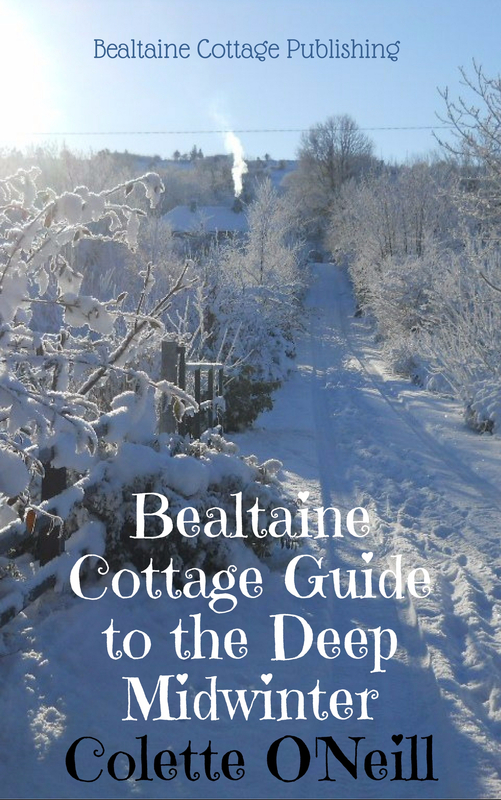 Support this free website and get to see all the private blogs and podcasts…subscribe to Bealtaine Cottage Good Life. 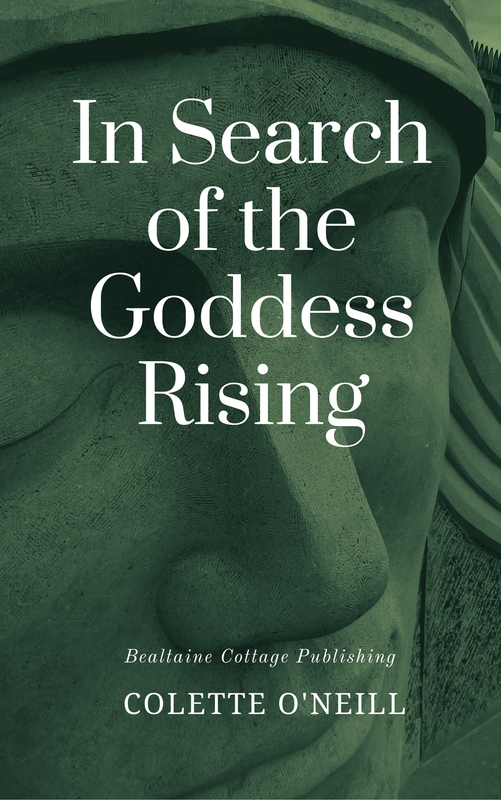 14 years of Goddess Permaculture at Bealtaine Cottage, West of Ireland...drop in, power up! 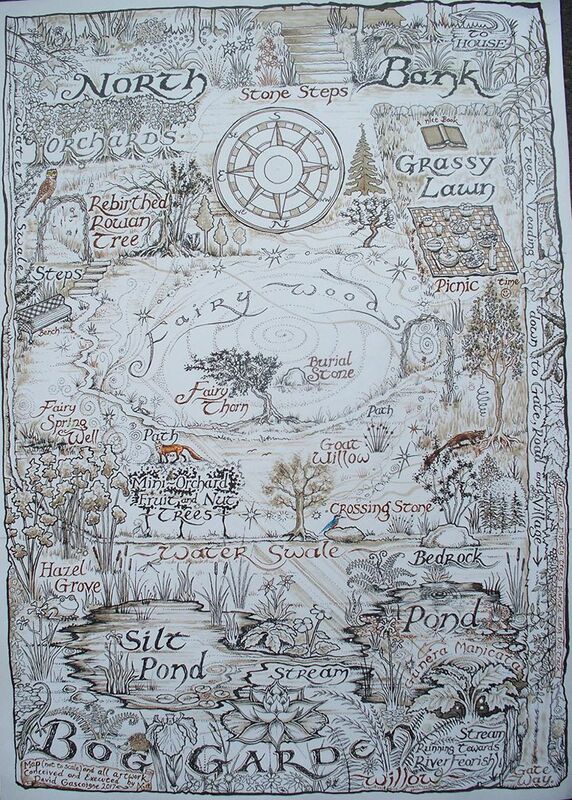 Colette O'Neill is a writer, photographer and teacher who has devoted the past 14 years to turning 3 acres of derelict land into a woodland sanctuary for all life, planting over 1,100 trees in the process. An Act of Defiance from the Edge of Empire! Bless your garden with abundance indeed! Hello – would you have any suggestions on how to keep the Kale free from the little white butterflies? I have a real issue with them and am now considering netting everything, they demolish pretty much the entire crop 😦 Do you not have any issues with them at all? I have never had a problem with these. It could be that I plant intensively and well mixed. Planting in rows where a pest is concerned is very inviting! Lovely to get this particular blog as I am in the making of my first veggie garden in France; all a bit different to Tuscany. We now have a heat-wave and I’m glad that I’ve left a cover of weeds, which are now giving up to some of the flowers I seeded there. It seems crazy to have bare soil when this sort of weather hits. Beautiful! I wish I could garden this way, but I would not be able to keep track of what needs to be done. I do companion plant and combine similar veggies as you but not so close together. Do you ever have problems with plants not having enough air circulation? No problems at all in this system, except abundance. I looked out of the bedroom window this morning and saw the low cloud sitting in a valley, the car has misty condensation on the windscreen and mirrors, the leaves of the trees have a slight reddish tinge, there is that exciting coolness in the air, all the soft fruits are picked and stored and this year, the apple and plum trees are bowing to the ground with so much fruit, it is almost obscene. Autumn is my favourite time of year. I am not familiar with pests in plum trees. However, I can tell you how I grow plums here that are pest free. First, in a spot where the air can circulate adequately and keep the centre of the tree open. Plant lots of mint around the tree…mine is near watermint. Finally, I have seen plum trees in Romania, when I visited there, circled with white-wash, or lime wash each Spring to keep the bugs from climbing the tree. I hope this helps. Beautiful as well as functional. Love your posts.